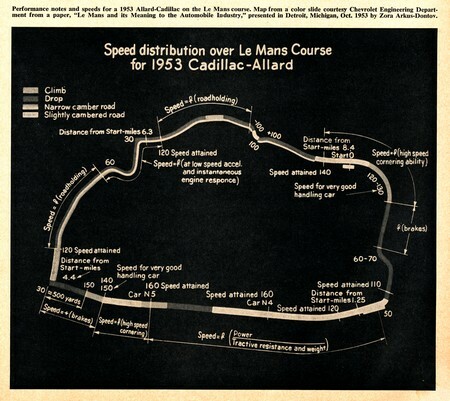 The image below is from Zora Arkus Duntov's technical report on the 1953 Le Mans race. This is the race that almost got Zora fired from GM, which means the Corvette as we know and love today...almost never was. Reminder: The car that Zora raced to help create this report is up auction this Friday at RM in Scottsdale, lot #115.